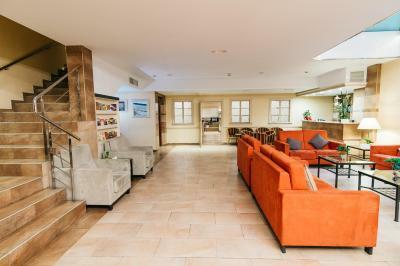 Lock in a great price for Sunotel Central – rated 8.3 by recent guests! 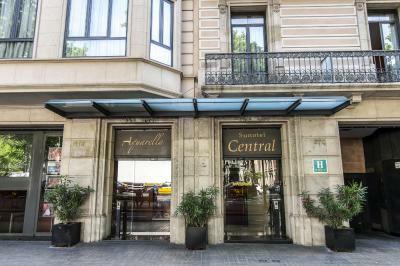 The hotel is located in a great location within Barcelona with a lot of shops and food places nearby. 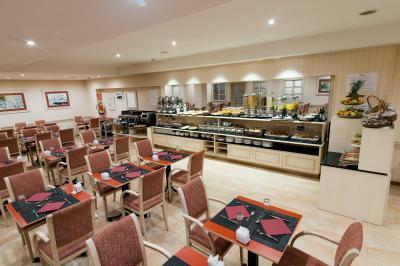 The staff was great, room was very comfortable, and all my needs were met. Would definitely stay here again! Room was very quiet, Nespresso machine was nice, shower was excellent, front desk staff were very helpful. Near the supermarket and restaurants. Close to different attractions of Barcelona. They have nespresso (didnt expect that) got our normal room transferred to a room with a view and it was worth it! We had to pay extra but its okay since we got the hotel for cheap price.. The front desk staff was very friendly and knowledgeable. They helped us with our check in and helped get us all situated. We asked them for help finding the nearest metro and how best to get to the sites we wanted to see. The front desk staff grabbed us a map and drew directions to every destination we had within the city. The rooms were clean and the beds were very comfortable. 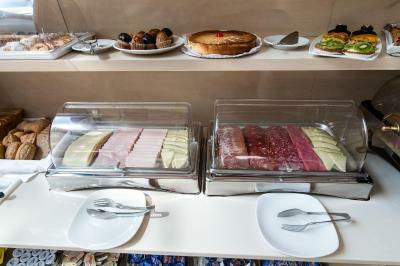 We also enjoyed the buffet breakfast that was offered. The receptionist on duty on 5th of January in the afternoon, Xabo I think was his name, was extremely nice, helpful with all my requests and problems after a long day on the road. Congrats to him! And to you, having him on board. The friendly helpful staff. The room was clean and comfortable. 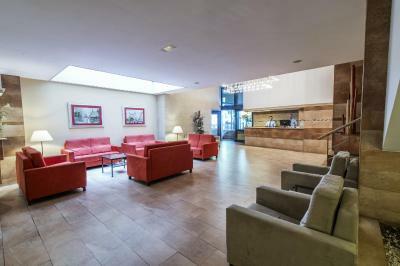 Sunotel Central This rating is a reflection of how the property compares to the industry standard when it comes to price, facilities and services available. It's based on a self-evaluation by the property. Use this rating to help choose your stay! One of our best sellers in Barcelona! 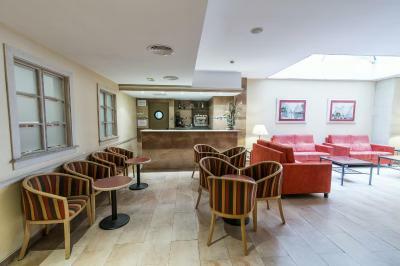 Featuring a rooftop swimming pool and hot tub with views of Barcelona, Sunotel Central is set in the center of Barcelona, just 10 minutes' walk from Plaza Catalunya. Modern rooms at Sunotel Central include free high-speed WiFi, satellite TV and a private bathroom with a hairdryer and amenities. 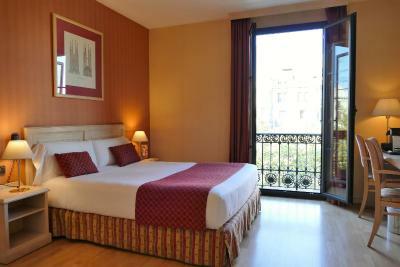 Universitat Metro Station is just 650 feet from the hotel. The Ramblas, famous for its street performers, can be reached in 10 minutes by foot. 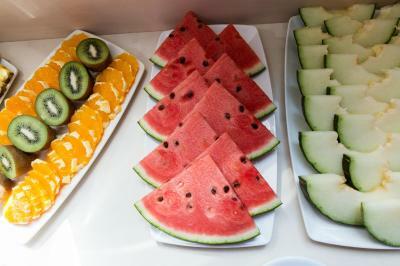 In the morning guests can enjoy a varied, fresh and healthy full buffet breakfast. 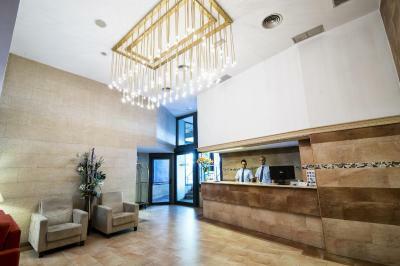 The hotel’s 24-hour reception offers a ticket booking service and luggage storage. There are computers in the lobby which guests can use for free. Meeting rooms are also available. When would you like to stay at Sunotel Central? This room offers views over a characteristic inner courtyard of Barcelona's Eixample district or street views. 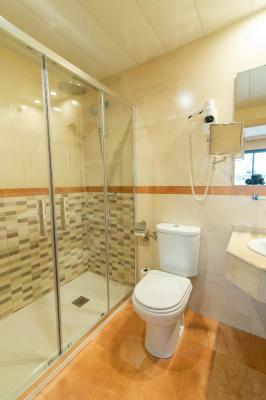 Set between the 1st and 3rd floor, this room comes with a private bathroom with bath or shower. Offering a balcony with street views, this room comes with a bathroom with a bath or shower. House Rules Sunotel Central takes special requests – add in the next step! Sunotel Central accepts these cards and reserves the right to temporarily hold an amount prior to arrival. It is central and well connected by public transportation. Bed is comfortable. 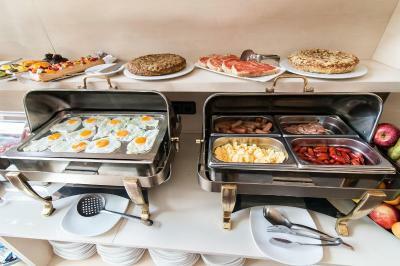 We were expecting more from the place considering the customers reviews on booking.com Breakfast for 16 euros is expensive. "They offer" 20% off if you book breakfast for all the days of your stay. The only really good thing about the place is the location, otherwise it's all very ordinary. The rooms were extremely small, even for a solo traveler. Claustrophobic feel. Extremely small bed. Not so clean as well. Too expensive for what it is. The hotel is very centric. Best location. Really nice hotel, very friendly staff, rooms were a bit small, we were offered to upgrade on arrival for an extra 15 euro per night but choose not to as we mainly used the hotel for sleeping and washing, we were very busy sightseeing, it was a little noisy at night but beds were comfy and room and bathroom clean. 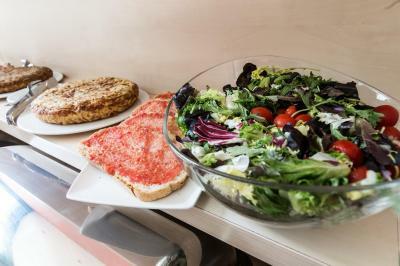 Location was excellent, 15 min walk to La Ramblas and Place E'spayna, Urgell metro very close by. This is not a 4 star hotel. It’s a 2 Star. Our bed had wheels. We got stuck in the elevator twice (for a few seconds) and then walked up 5 flights. The bed is so soft hard to sleep on it they were overused ! The staff were so friendly ! Recomennded a better room Than it was in the booking ! We would never stay at this hotel again. We booked an economy room for a couple and, when we got there we were offered an upgrade to a better room, which is great. But when we got to that room, there wasn't a double bed, but 2 single beds put together. When we asked if could get a double bed we were told that we would either stick to the economy room or pay the difference from the room we booked to the upgrade. Since we had paid for economy, we stuck with economy. The size of the room is just ridiculous for 2 people. There is no room for you to open 2 items of luggage at the same time (there was barely any room to open 1). We had funny situations like, me having to sit on the bed for my husband to pass to the bathroom (yes, THAT small). The bathroom is also super small and for 2 days, we only had the option of hot water and super hot water. And, don't get me wrong, I like hot water, but that was too uncomfortable. Last, but not least, the elevator that took us to our room was broken and wasn't fixed for our entire stay there (5 nights), we had to use the stairs or a combo of the other elevator and 1 flight of stairs. Unless you're alone and just staying for the weekend, don't book the economy room. The location is good (not great, good). Very hot in the room and the window was huge and impractical to leave open at night. Rooftop pool and hot tub a little grubby. In room safe wasn’t bolted down. Very clean. Great location. The staff at the front desk were incredibly helpful: pricing info on location, where to eat and safety. Location If weather was a little warmer, it would have been lovely to relax on the terrace upstairs wine the pool. The room was super small. It was even hard to find a place to open a suitcase. Hairdryer in the room did not worked. There were no outlets at all in the bathroom. Very comfortable bed. 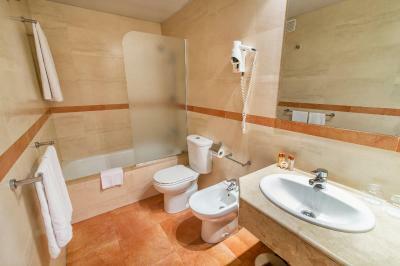 Suprisingly spacious bathroom. Nice location. Lift needs updating same stuck while we were in it. Location. Staff at reception nice and helpful.